Artists and writers of the movement believe Surrealism to be a revolutionary philosophical movement first, using visual works merely as an artifact. Since we are graphic and web designers ourselves, let us discuss surrealism in its visual form. Surrealism artworks often feature the element of surprise with random objects and unpredictable juxtapositions. It developed out of Dadaism during the WWI, centered around Paris, France and quickly spread worldwide from the 1920s onward. The word ‘Surrealism’ was coined by writer Guillaume Apollinaire in 1917; he used it to describe his own ballet ‘Les Mamelles de Tiresais’ and Jean Cocteau’s ballet ‘Parade’. Surrealism, according to Apollinaire, is ‘truth beyond realism’. In 1924, Andre Breton adopted the word in his work ‘The Manifesto of Surrealism’. After the World War I, artists and intellectuals were looking for an escape against the harshness of reality. They wanted to reform the world their own way, and Freud has provided them a strong influence; by tapping into the unconscious aspect of our brain. 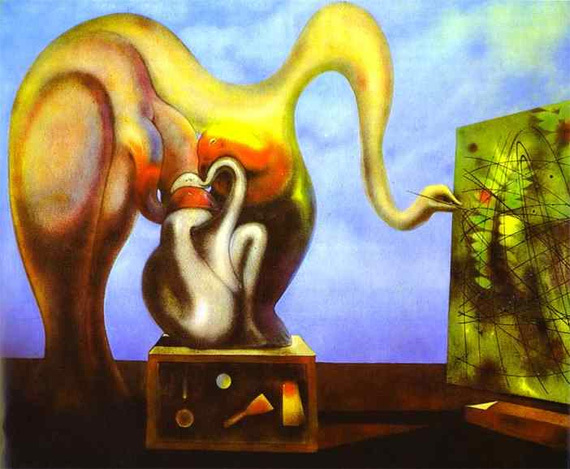 In 1924, the Surrealist group was formed; its principal members being Max Ernst, Joan Miro and Andre Masson. Artists were very interested with the subconscious; with dreams, hallucinations and trances, as described in Sigmund Freud’s works. 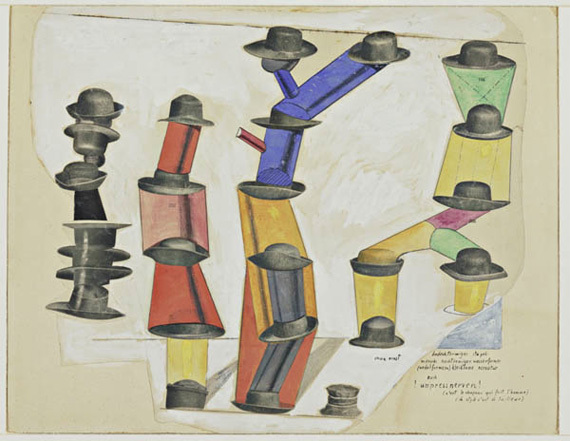 The group, along with Andre Breton, made artworks, poetry and sketches under hypnosis & automatic writing. Often they produce surreal, dream-like and unconscious works. In the words of Salvador Dali, Surrealism is said to be the symbolic language of the subconscious; truly a universal language, it doesn’t depend on education, culture or intelligence. Surrealism make use of several techniques to create the effect and provide inspiration. Cubomania – form of collage wherein an image is cut into squares and reassembled randomly. This technique was invented by Romanian Surrealist artist Gherasim Luca. Decalcomania – spreading thick paint on a canvas, and while still wet, covering it with paper or foil. This is removed again, while still wet, and the result of the pattern becomes the base of the finished painting. Eclaboussure – the process of placing paints down and the water or turpentine is splattered. The painting is then soaked entirely, revealing random splats and dots once the media is removed. Frottage – method of using the pencil rubbings over to a texture surface. Fumage – art technique which made use of impressions by smoke of a candle or lamp onto the blank canvas. Also called sfumato. Grattage – the process of scraping paint off the canvas to reveal the imprint placed beneath. Joan Miro is a Spanish Surrealist painter, sculptor & ceramicist. Founder of surrealism Andre Breton considered Joan Miro as the most Surrealist of them all. 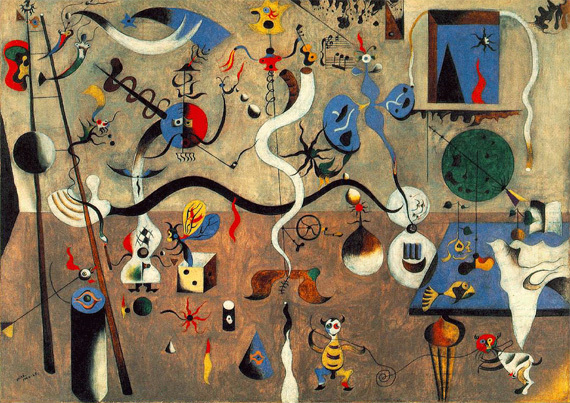 Miro is influenced by both Surrealism and Dadaism, but rejected any membership to artistic movement during the inter-war years. However, he had plenty of Surrealist influences like the use of automatism in drawing and using sexual symbols in his work. Max Ernst, a German painter and sculptor, who are among the pioneers in the Dada and Surrealist movement. He invented the Surrealist art technique ‘frottage’ and ‘grattage’, and experimented with many more Surrealist techniques. Ernst developed an obsession with birds, and these became prevalent in his works. Loplop, his alter ego in his paintings, was a bird. Loplop has also appeared in other Surrealist artists’ works. One of the most celebrated artists of the movement is Salvador Dali. Dali is a prominent Spanish surrealist painter, known for his striking surrealist work–with his painting technique resounding that of Renaissance art. His most famous artwork entitled ‘The Persistence of Memory’, 1931. It remains to be Dali’s most recognized work until today. The painting features melting pocket watches, which becomes an unconscious symbol of relative space and time. There is a suggestion that Dali was partly inspired by Einstein’s Theory of Relativity. However, when asked if this was the case, Salvador Dali replied that the melting watches weren’t inspired by Einstein, but the perception of Camembert cheese melting under the sun. Salvador Dali’s works expands to photography, film, sculpture and photography. Dali was highly creative; an unusual and ostentatious character. He has a love for all things gilded, excessive and luxurious. Dali was indeed very eccentric, beguiling the public attention and at the same time gaining ire from his critics. A personal favorite of mine is a photography work featuring Dali, cats, a painting and buckets of water. It was entitled ‘Dali Atomicus’, and taken by Philippe Halsman. This photo was shot live, no amount of post-processing or Photoshop has been used to achieve this effect. It took 26 attempts and 5 hours. Philip Halsman would count to four, where Dali would leap into air, and three assistant will throw the cats, another will throw a bucket of water, and Mrs. Halsman held the chair. The Surrealism art movement had a great impact in art, literature, culture and even extending to politics. Surrealism is a creative act of effort towards liberating the imagination. It is as dynamic as it is subtle; Surrealism is still alive and growing until today. Many artists around the world are influenced by Surrealism styles, ideas & techniques. Surrealism taught the world to see art not merely visually and literally; but to appreciate it in a subconscious level as well. Today, surrealism is a familiar form of art that continues to grow globally. It’s easy for artists to show their creativity through Surrealism, because the style provides them more freedom to convey their feelings and thoughts through the canvas. Surreal art can be dreamy or gritty; or it can be optimistic or depressing. Surrealist web design is just like opening a door and seeing a strange, new planet. You never know what to expect, it’s bizarre but familiar, just like our dreams. New techniques have now been adopted with the coming of the digital age. 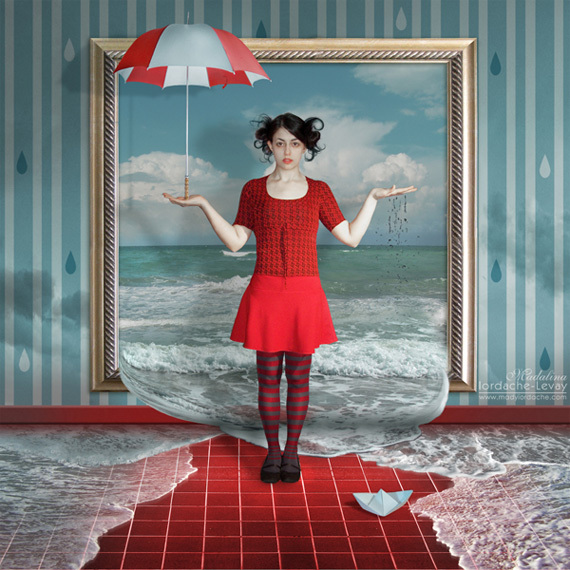 Photo manipulation is the favorite technique of this age when creating Surrealist art. Most Surrealist web design make use of realistic, three-dimensional images that are recomposed and rearranged instead of drawn illustrations. This is to create more realistic, magical and strange world. With Surrealist web design, Flash is also a popular tool to use, because it can incorporate dreamy effects, animation and music, making it all the more surreal and interesting.